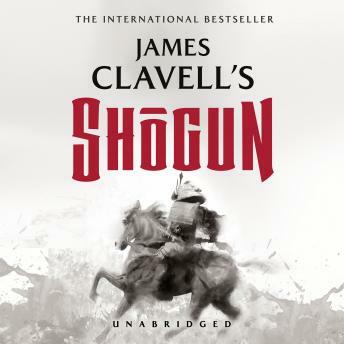 Powerful and engrossing, capturing both the rich pageantry and stark realities of life in feudal Japan, Shogun is a critically acclaimed powerhouse of a book. Heart-stopping, edge-of-your-seat action melds seamlessly with intricate historical detail and raw human emotion. Endlessly compelling, this sweeping saga captivated the world to become not only one of the best-selling novels of all time but also one of the highest-rated television miniseries, as well as inspiring a nationwide surge of interest in the culture of Japan. Shakespearean in both scope and depth, Shogun is, as the New York Times put it, '...not only something you read-you live it.' Provocative, absorbing, and endlessly fascinating, there is only one: Shogun. An iBooks bestseller in Fiction. New York Times bestseller. Big story with well defined characters. Worth getting sucked into. A good read but it finish's abruptly. Good but very long over 50 hours of audio. I remember watching mini series as a kid.